2) you are an ant walking on a table, and are surrounded by vegitables. draw what you see. good. 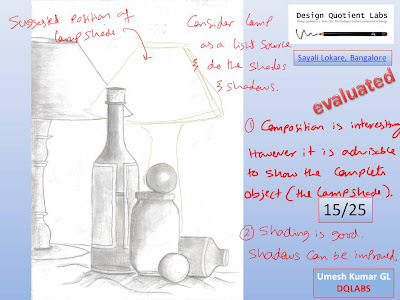 using these perspective concepts attempt mocktest 1 and 2 themesketching questions and submit. good job. now pick any 3 objects used in a kitchen and draw ants eye view and birds eye view for those objects seperately and submit the drawings. Complete the task 3 and submit. i will send you some perspective drawings for assignments. draw them and submit as well. Ihope you are working on the 2d composition design principles assignment. i will give you more 3d tasks after you finish it. 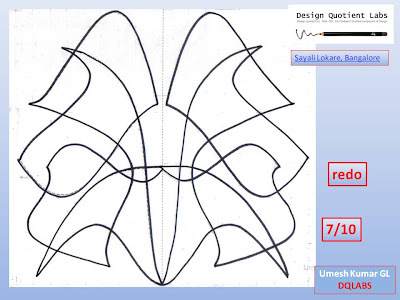 Redo the 3d composition drawing and submit it by 13th april 2009 before 5 pm. i will aslo send you some 3d samples. replicate any 2 of them and submit as per above dead line. 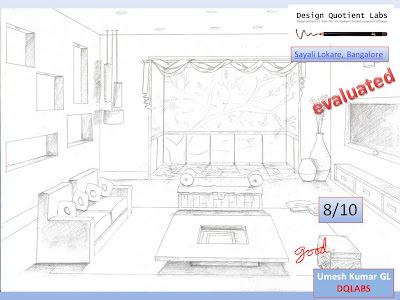 sketch an Art classroom with all relevant details and submit it by 5th March. 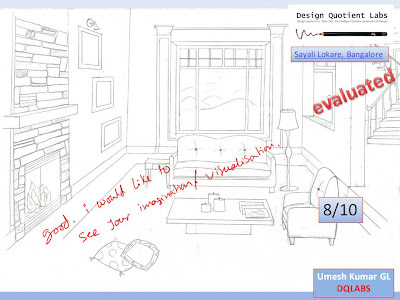 Attempt mock test 3 freehand drawing, implementing the below given feedback and submit it by 18th feb. Also i have sent you one document regarding one point perspective. read it thoroughly and replicate all the images in it and submit them by 18th feb.
implement the feedback and submit the drawing by 7th feb. give good attention to proportion and character of the line. 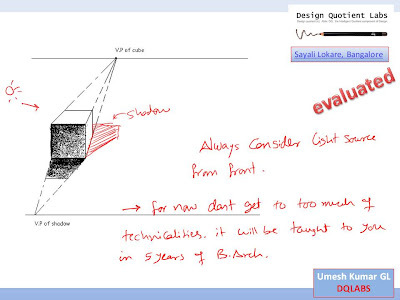 Answer freehand drawing question of mocktest 2 and submit it by 25th jan. use all the freehand and coloring concepts you have learnt so far and do a good job. your sketch would be evalauted for 50 marks. if you score well we will proceed to the next part- theme sketching. 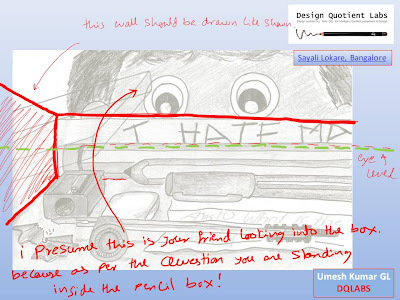 1. regarding 3d drawings, i suggest you answer 1st assignment and submit for now. will guide you if you have got any thing wrong there. you will learn a lot in that approach rather than i giving you an example. 2. regarding interesting color combinations, read the color theory chapter. use split complimentary colors to arrive at interesting colors. if you have any doubts let me know. but before that try to choose some color combinations using the color theory. submit both the above assignments by 23rd jan.
now color the other drawings and submit them by 13th Jan.
go ahead and use the color combunations, color the completed drawing as pre the feedback and submit them by 9th jan.
i guess your millionth attempt worked out to be worth while. now color the drawing using 3 different mediums you are comfortable with. you should use 4 different colors and create interesting color combination. submit the assignment by 8th jan 2009. I suggest you to focus on quality rather than on time. 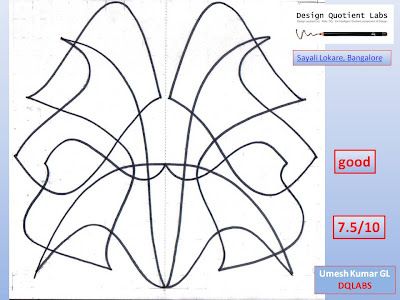 the drawing given to you is a complex one designed specifically to give you good freehand line practice. In the actual nata exam, the drawing would be a bit simple. so for now dont worry about time, and concentrate on the quality of freehand. submit your drawing by 5th jan with best lines possible. How much time did you take to do this assignment. please correct the drawing where ever pointed out and resubmit it by 4th jan.
good improvement. 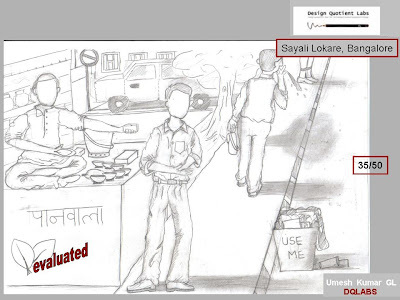 submit the above drawing by 3rd jan 2009.
submit the above assignment by 23rd Dec. Submit the assignment by 16th November. Good job. please do the above assignment and submit it by 7th nov.
good job. 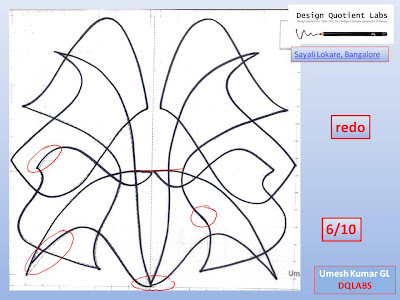 please give attention to the proportion of spaces between the curves. for the next assignment, choose one more drawing from the book and complete it. sen the drawing by 26th of october. submit the assignment by 18th october. The proportion aspect of the freehand is good, however you need to work on the line quality. please redo the above assignment and send it by 14th october. give due attention for freehand line quality. please submit one more freehand drawing from the book by 10th of october. 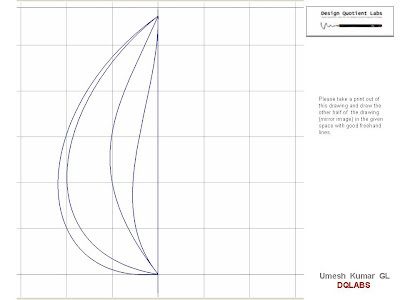 lets start the course with the freehand drawing. 1. please read through the freehand chapter from the book. 3. write a short notes on what is expected in freehand drawing. 4. attempt one exercise from the book incorporating your understanding and giving your best attempting in getting a well proportioned drawing. donot color the drawing. submit this on or before 30th september. 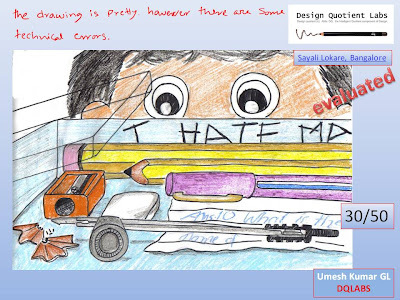 Dear Sayali, please submit your freehand drawing. Sketching like shading and perspective. 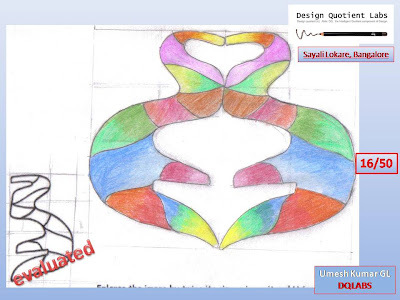 we will plan a progam for you after going through your freehand drawing. do i have to color the drawing? i am having trouble with my freehand drawing.whenever i erase to correct a line , other lines intersecting it also get erased. when i try to join back those lines it gives me thick or double lines.the same happens while erasing the grid . what should i do? 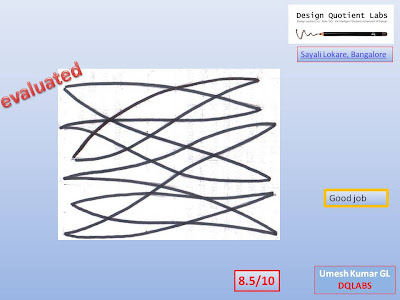 Adopt this method for drawing lines. step-1 construction lines - use HB pencil and draw lines very lightly to get the proportion of the drawing and line character correct. Step -2 Presentation lines. Use a black sketch pen to draw these lines crisp and dark. draw the presentation lines on top of the construction lines. use construction lines as a guide. 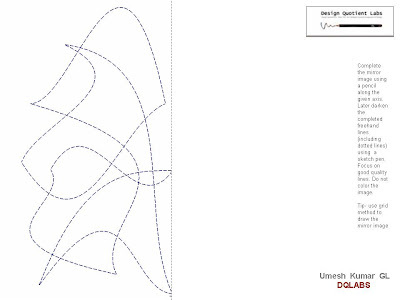 what ever corrections you do should takes place while drawing the constructions lines itself. as you draw these lines very light in tone it would be easier to erase and correct the drawing. also once you finish the presentation lines drawn by sketch pen, you can easily erase the unnecessary construction lines and the grid together. thanks a lot for the advice. i will try to adopt this method from the next time. do you want me to do the same asignment again? Can u pl tell me how to study for architecturing.